Arthur Jensen, a University of California, Berkeley professor whose scholarly contributions to the field of psychological measurement were often overshadowed by the furor over his findings on race-based differences in intelligence, has died. He was 89. Arthur Jensen died on Oct. 22, 2012. Arthur Jensen said genetic differences accounted for IQ gap between whites, blacks. Arthur Jensen had stumbled over the truth. The inconvenient truth, that must not be said, because it contradicts political correctness‘ decrees. Publishing and interpreting taboo scientific findings caused a lot of hostility towards Jensen. One of the most provocative figures in 20th-century psychology, Mr. Jensen died Oct. 22 at his home in the Northern California town of Kelseyville. He had Parkinson’s disease and other ailments, said his son-in-law Joe Morey. In 1969, Mr. Jensen reignited a long-simmering debate over race and intelligence with an article in the Harvard Educational Review defending studies showing whites scored an average of 15 points higher than blacks on standard IQ tests. He argued that the gap was largely because of genetic differences between the two groups and not, as he had previously believed, to cultural and environmental factors. His assertions, which came amid the social and political turmoil of the late 1960s, stirred critics to call him a racist. His lectures were disrupted by angry mobs. Bomb squads handled his mail, and irate colleagues mounted a campaign to formally censure him. The effort failed, and the tenured professor continued to teach at Berkeley until his retirement in 1994, but controversy dogged him for years. In 1977, Margaret Mead, the eminent anthropologist, attempted to block his nomination as a fellow of the American Association for the Advancement of Science, arguing that his selection would amount to an endorsement of racist theories. A few weeks earlier, J. Philippe Rushton deceased. Two major researchers who defied the politically correct crowd and dared to do unpopular research and to defend the truths they found. This leaves Richard Lynn as one of the few academic scientists that research race and IQ and behavior. Nobel prize winner James Watson succumbed to political attacks after suggesting that races are not equal. 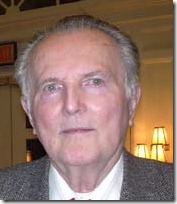 (August 24, 1923 – October 22, 2012) was a professor of educational psychology at the University of California, Berkeley. Jensen is known for his work in psychometrics and differential psychology, which is concerned with how and why individuals differ behaviorally from one another. He was a major proponent of the hereditarian position in the nature versus nurture debate, the position that genetics play a significant role in behavioral traits, such as intelligence and personality. He was the author of over 400 scientific papers published in refereed journals and sat on the editorial boards of the scientific journals Intelligence and Personality and Individual Differences. He was rated as one of the 50 most eminent psychologists of the 20th century. He was also a controversial figure, largely for his conclusions regarding the causes of race-based differences in intelligence. Next Next post: Trayvon Martin, on suspension for drugs, for punching bus driver. A violent burglar upset about being followed?